In my opinion, writer/director Peter Berg built up a lot of goodwill for himself with Deepwater Horizon, a film that honored the lives of the people on the ill-fated oil rig thanks to solid storytelling, a lack of clichés, and you-are-there action sequences. 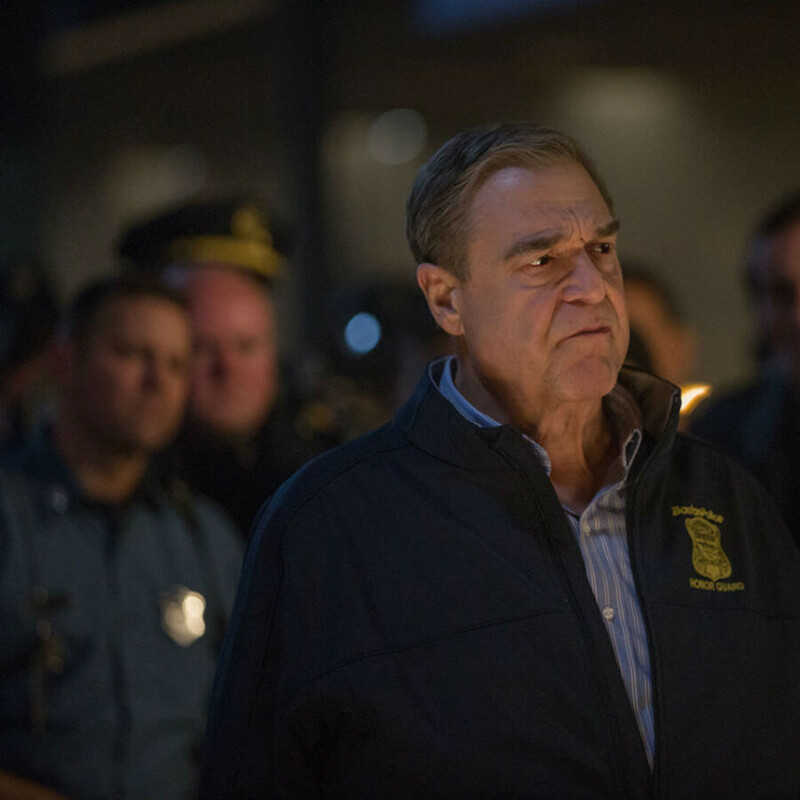 Just a few months later, he has lost the benefit of the doubt with Patriots Day, which essentially does the exact opposite of the first film. 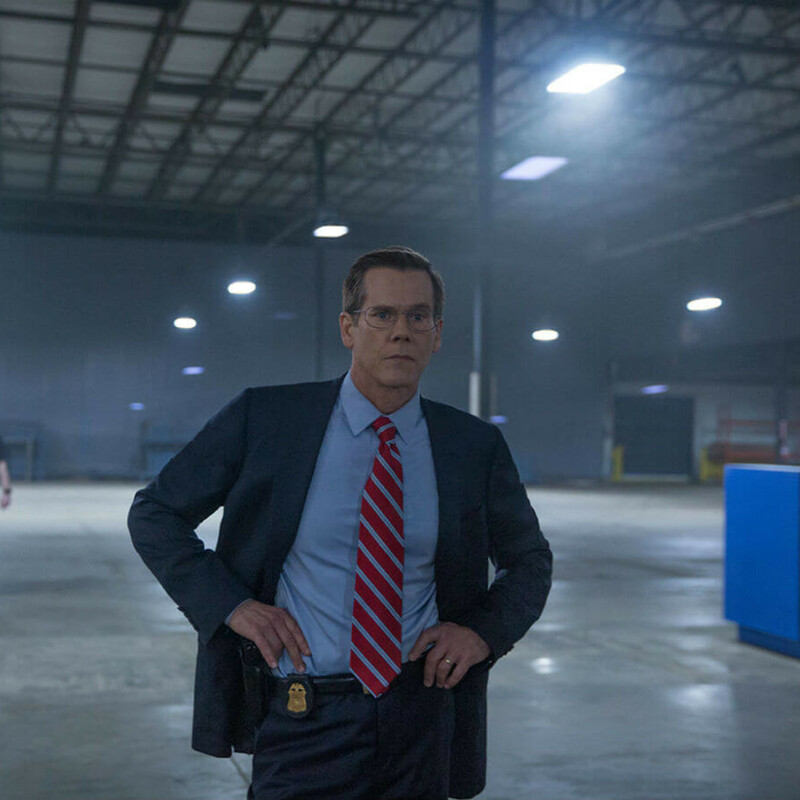 Both movies tackle relatively recent real-life events (the Deepwater Horizon accident occurred in 2010, while the Boston bombings took place in 2013), so the difference between the two has less to do with the “too soon” aspect as it does with how the events are handled. 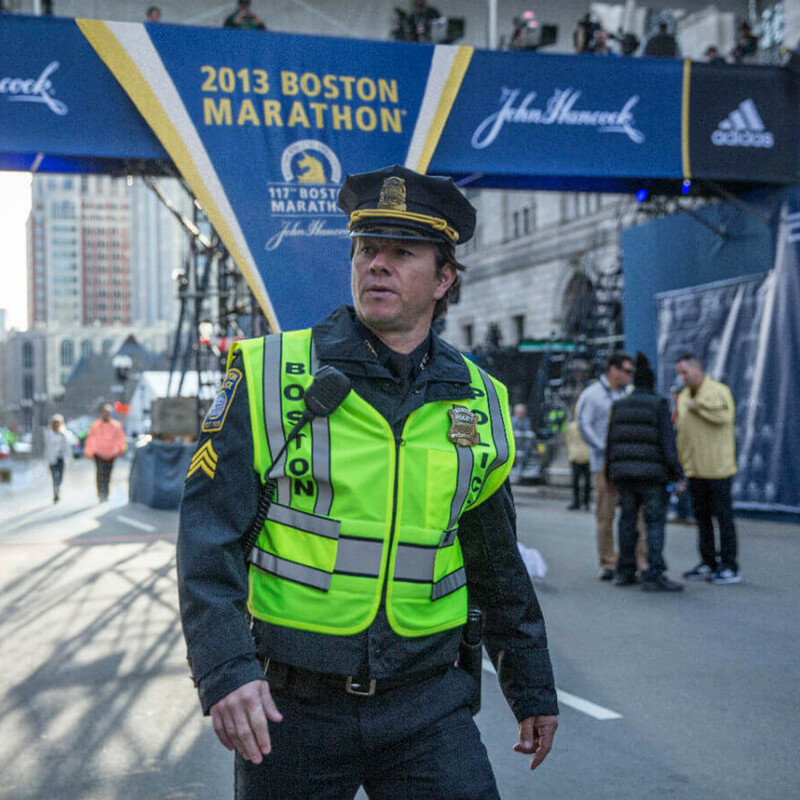 Mark Wahlberg again stars for Berg, this time as Tommy Saunders, a beleaguered Boston cop assigned to work near the finish line at the 2013 Boston Marathon. He’s thus in prime position to respond when two bombs go off, killing three people and injuring scores more. 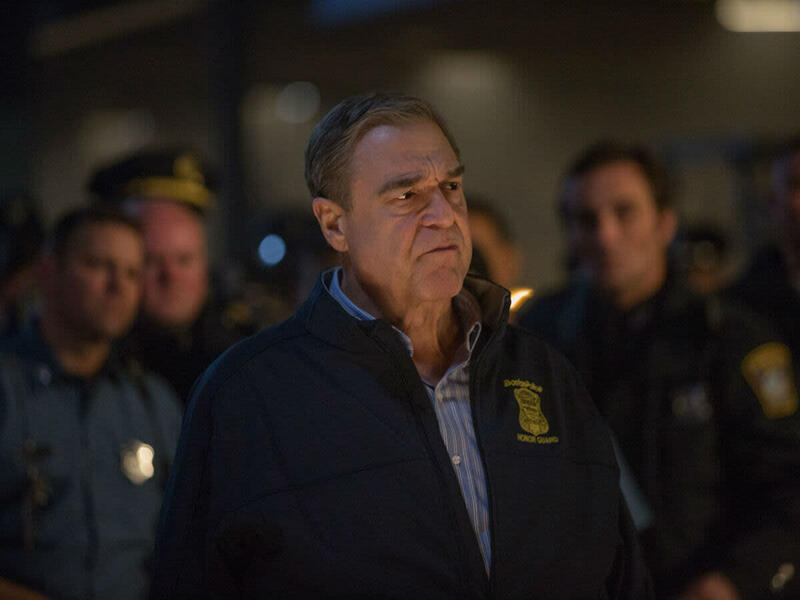 The film takes on not just the bombing, but also the ensuing manhunt in which Commissioner Ed Davis (John Goodman), FBI agent Richard DesLauriers, and their teams try to find the two suspected bombers, Tamerlan and Dzhokhar Tsarnaev (Themo Melikidze and Alex Wolff). The first mistake Berg commits is having Wahlberg portray a fictional composite character. 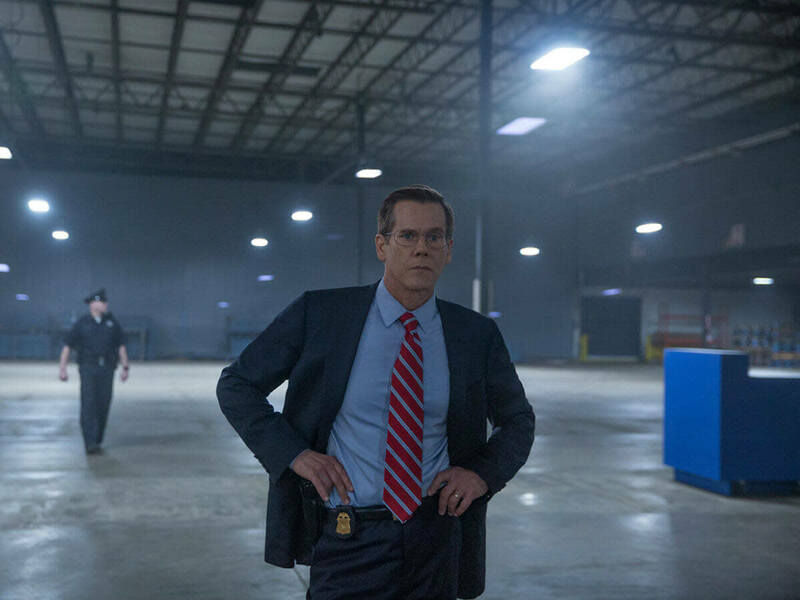 Unlike Deepwater Horizon, where Wahlberg played a real person who reacted as a real person would, Saunders manages to show up at every significant turn in the story, as if he were the most important person on the force. If ever there was a team effort, it was this manhunt, but time and again we see Saunders literally searching the streets on his own or challenging authority when things aren’t moving fast enough. Berg also brings in too many characters, or at least tries to delve into the personal lives of too many of them. 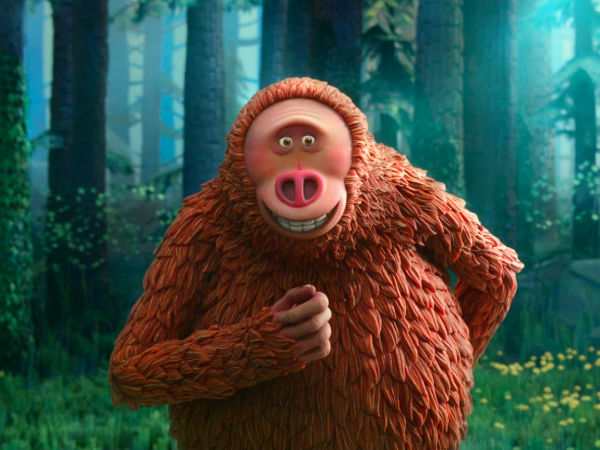 Real people affected by the bombing or bombers are introduced at the very beginning of the film, and the sheer number of characters spreads the movie much too thin, causing confusion as to who is and isn’t important. It’s obvious that Berg wants to make sure that anyone who was affected gets honored in some manner, but the way in which he presents many of them in the film just doesn’t work as he intended. And then there’s curious use of humor in the film. 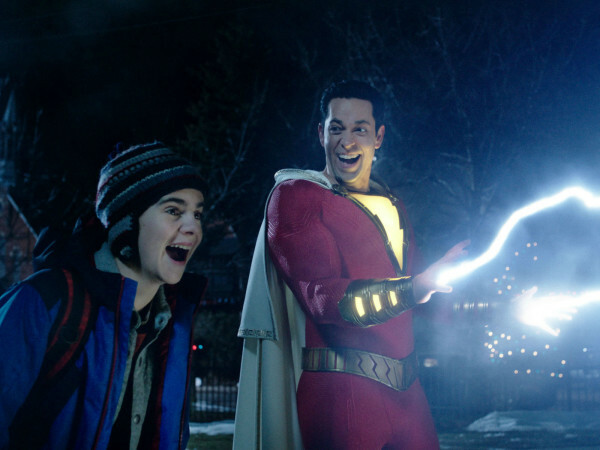 Using jokes to break the tension in an otherwise serious movie is a time-tested tradition, but it’s something that should be used sparingly and with care, so as not to upset the tone of the film. Berg throws caution to the wind with his jokes, inserting them whenever he pleases. 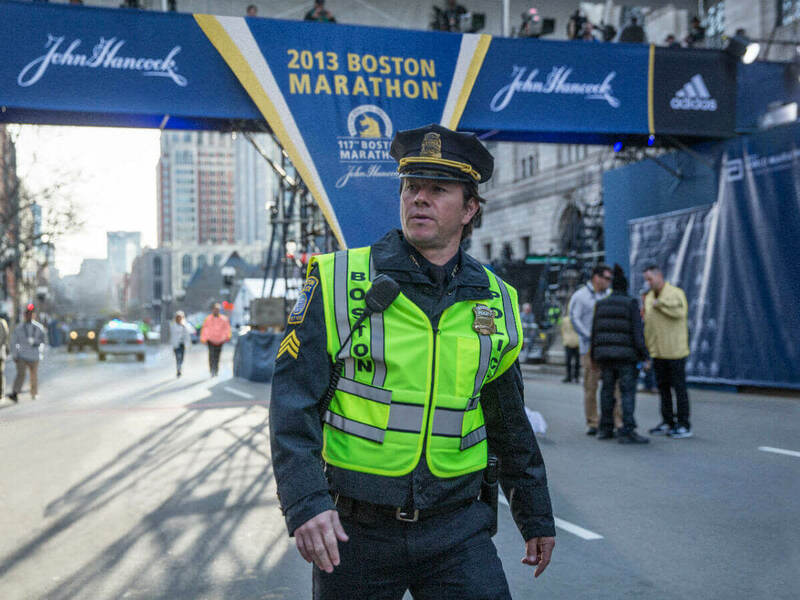 Patriots Day winds up being a film that tries to honor the people of Boston a bit too much. In trying to present everyone, save for the two bombers, in the best possible light, Berg goes overboard, losing perspective in the process. The inclusion of interviews with the real people involved at the end of movie indicates what he should have done in the first place: make a documentary.